Steve O'Dea was the star of the show at Randwick on Saturday with a double and one for a loyal client in Proven Thoroughbreds. The black and green silks saluted after SESAR (pictured) won the G2 Roman Consul Stakes when the smart Sebring colt made a big run from the back of the field. DOUBT DEFYING ridden by Tim Clarke was the first of the stables winners with a big win first-up from a spell. On the back of Friday's win in the ACT with SHANGANI PATROL romping in, the Matthew Dale stable also found success at Randwick after MAN OF PEACE led from start to finish in what was the lucky last. Belmont saw Grant and Alana Williams on the board early with LEADING GIRL first to cross the line. Parnham Racing Stables found their way to the winners stall when Steven rode DARK PROSPECT to his fifth career win while Martin Allen saddled up NIGHT VOYAGE who is racing in great form and got the job done under apprentice Emma Stent. 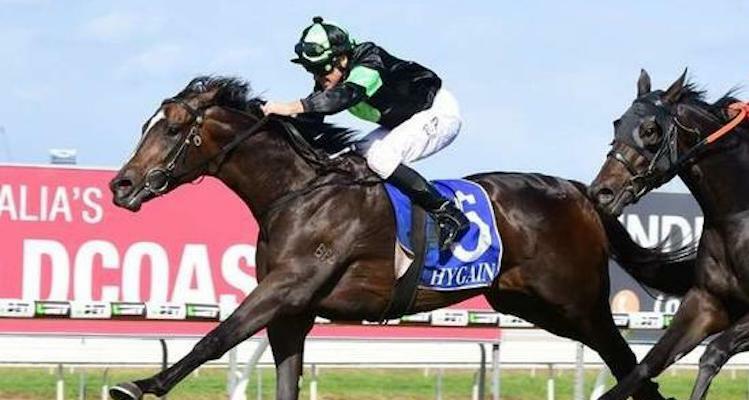 It was great to see Michael Hickmott Bloodstock on the board at Morphettville on Saturday after ADATTO broke a run of seconds to score well on the pace. LADY SILHOUETTE got the job done for Gary Searle, while Ryan Balfour Racing didn't miss out when COOL MAVERICK led all the way continuing his good campaign. Leading Darwin trainer, Gary Clarke continued his winning ways scoring a treble on home soil with stablemates THE CAPTAIN, LET'S CELEBRATE & DESXIRI. Friday racing in the nation's capital was a happy hunting ground for miStable trainers who dominated on the day. Warwick Farm trainer, Paul Cave made the trip worthwhile when NACHO LIBRE crossed the line with a win. Nick Olive was in form picking up a double with both PALAMEDES & BRING A SECRET as was Capital Racing following a win from BULL BAILEY. Congratulations also to our international contingent with a smorgasbord of winners over the weekend. Singapore was busy with multiple wins from Lee Freedman and Dan Meagher, while Stephen Gray also found form to land himself in the winner's circle also. Michael Freedman and Nigel Tiley got the job done in Hong Kong and New Zealand respectively, as did Mike de Kock and Brett Crawford in South Africa. Congratulations to all our clients who found the winner's circle last weekend!